Was dedicated to the organisation Beyond War. One of the worst albums I've ever bought. I was wishing the music of this album would be up to the qualities of YES, but that's not what I got. What I got was really bad Christmas music, sung by ANDERSON in a very cheesy manner. This album is totally to be avoided. 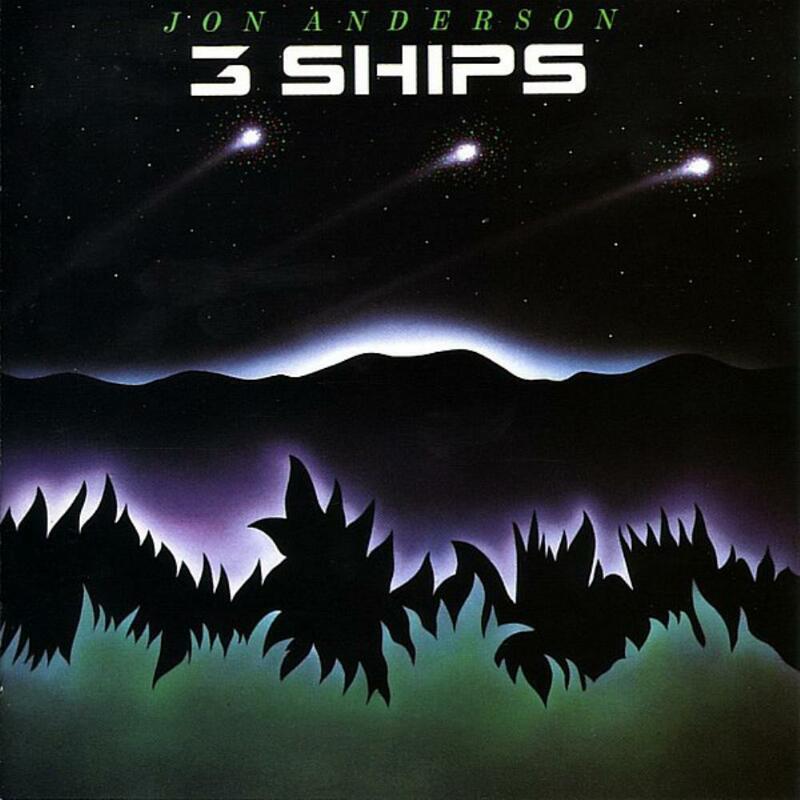 So, are the three ships some mystical reference to three lengthy footnotes in a topographic poem? Has the musically complex mind of Anderson come up with another new concept which we shall struggle to get inside of to understand the real message? Well no actually. This is in fact a Christmas album, the three ships reference coming from the song which goes "I saw three ships come sailing in, on Christmas day in the morning". Anderson may perhaps have been inspired by Greg Lake's surprise success in the singles chart with "I believe in father Christmas", or he may just have wanted to lighten up" a bit. The album, which was released in 1985, is dominated by Anderson's vocals (of course) and the keyboards of Rhet Lawrence. The latter may be slightly surprising, given Anderson's work with Vangelis around that time. Indeed, Vangelis even writes one of the tracks. A number of well known musicians also contribute, including sometime Yes man, Trevor Rabin. There is a rather strange mixture of traditional Christmas carols, and Anderson composed originals with a festive and/or peace on earth theme. The tracks are mixed together in such a way that one minute you're singing along with a song you have know since childhood, the next you are entirely unfamiliar with the piece. On "O Holy night" Anderson duets with Sandra Crouch. While their rendition is pleasant, it does not really capture the majestic power of this carol as well as it might. Anderson is undoubtedly a great vocalist, but his voice is not really suited to such a song. The best track on the album is "Where were you", an Anderson composition in the style of "I believe in Father Christmas", with some excellent keyboards giving it a powerful feel. In a rather indulgent moment (on his part), Anderson's daughter "sings" the final track, "Jingle bells". While there are occasional hints of "Olias of Sunhillow" (honest! ), this is as far from a prog album as you'll find on this site. It is however, a pleasant, well presented Christmas album. Season's greetings! This is a tough one to rate. 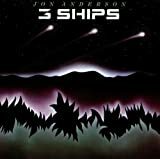 Three Ships is the album where Jon finally cuts loose from his prog roots and slips into a wierd mix of techno-electronica and traditional Christmas carols. It's not bad though, unlike the earlier Song of Seven album, thanks in large part to the tasteful keyboards of Rhett Lawrence and Jon's own considerable vocal talents. It is TWEE, though, to an amazing degree, and it introduces the change to Jon's style that will carry through the next album, In the City of Angels. That said, I have to give it 2.5 stars, but it's still better than the average Christmas album. "Save All Your Love" starts not too differently from the kind of songs that can be found on the side A of "Private Collection". I remember that I was hoping to hear at least something similar, but in the end it's just a Christmas carols album. I like Jon's voice. I know we are not too much, so I not only survived to the whole album, but I also copied it on a tape cassette and had a number of listens in my car. In the end, the only nice thing is Jade's voice singing Jingle Bells. Effectively it's not only a Christmas album, it's also a Christmas album of the 80s, with the actual electronics and a lot of the bad of that age. It features not only Trevor Rabin as one could expect in 1985 (the Year of Big Generator if I'm not wrong), but also Elliott Easton from the Cars, a pop band that I honestly like, but there's no way to distinguish him. At the end, "Save all your love" is the thing closer to an highlight, even if calling it in this way is too generous. I have enjoyed the album, anyway, as I'm a YES addict, but it's honestly stuff for completionsts. Stick on Olias or jump to something further. Leave this album to us fans. 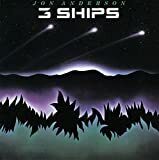 Post a review of JON ANDERSON "3 Ships"